Accomplished Sportsman drag racing star Troy Coughlin Jr. already was incredibly excited about the 2017 NHRA season after it was announced he’d run a sixth nitro entry for Kalitta Motorsports for a small handful of races. Now the 26-year-old third-generation racer can hardly believe what’s happening right before his eyes on the heels of the announcement he’d be taking over the seat of the SealMaster Top Fuel dragster. 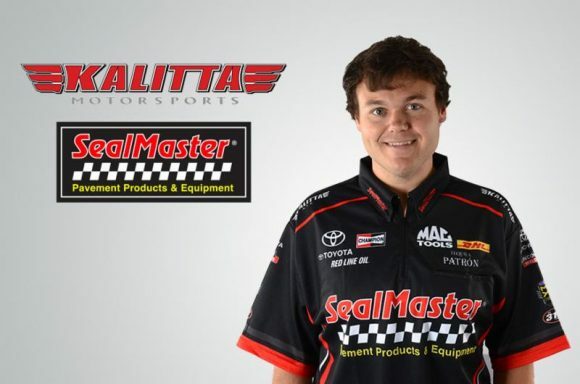 Things have fallen perfectly into place for the son of three-time world champion drag racer Troy Coughlin Sr. and grandson of JEGS Mail Order founder and drag racer Jeg Coughlin Sr. since the renowned Kalitta Motorsports camp announced Troy Jr. would be joining its ranks. Team driver Del Worsham left the camp a few weeks ago to once again race with his father, which opened the seat in the DHL Funny Car. That sparked an interest in fellow Kalitta Motorsports pro J.R. Todd to try his hand at Funny Car so with the blessing of everyone involved, Todd moved into Worsham’s former position. With that shift, the seat of Todd’s SealMaster Top Fuel dragster was vacated, opening a spot for Coughlin. “This is a proven, championship-caliber racecar and the fact Connie (Kalitta, team owner) and Jim O (Oberhofer, Vice President of Operations) selected me to drive it is such an honor,” Troy Jr. said. “They could have hired any driver out there and I’m sure the line was a mile long with people that have a ton of experience, but they decided to give this unproven kid a chance and it just blows me away. Coughlin has competed in a variety of drag racing classes during in his career, including Jr. Dragster, Super Comp, Super Gas and Pro Mod. Among his many accomplishments is the 2013 Division 3 Super Gas championship, two wins at the prestigious U.S. Nationals, and 2015 Rookie of the Year honors in Pro Mod. In total, he has five national event victories, four high-dollar bracket race titles, and three divisional wins. “I’m extremely proud to be representing SealMaster and their incredible services and products,” Coughlin said. “Like my family, they love drag racing and motorsports in general and I’m very anxious to meet all of the company’s representatives around the country. Filed Under: NHRA, Racing, Sports Tagged With: NHRA, Team JEGS, Troy Coughlin Jr.